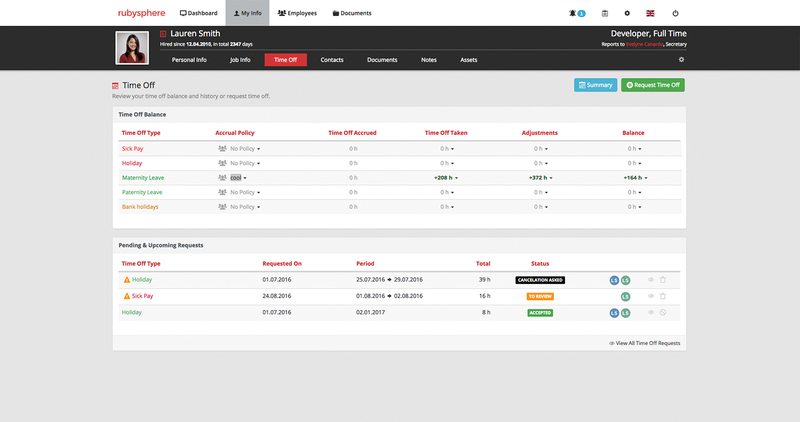 Effortlessly manage and track employee absences, time off and attendance. 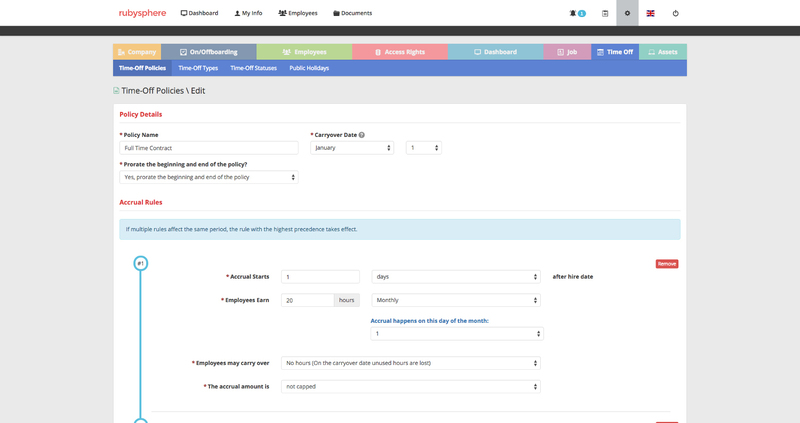 Define your custom time off policies and rules and let our system do the calculations. 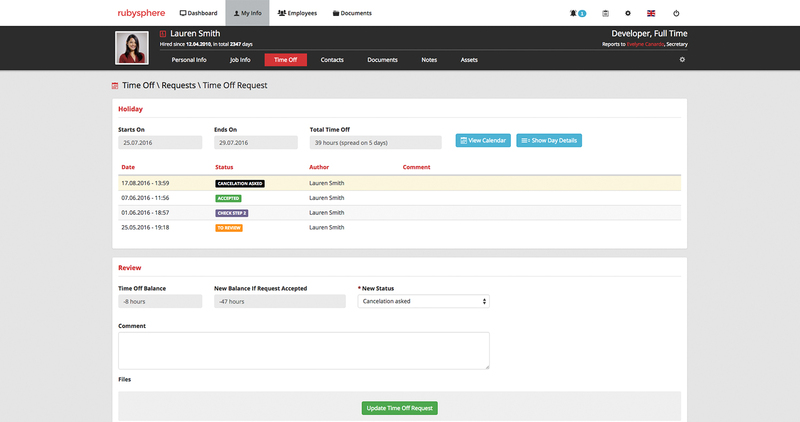 Manage and track employee absences, time off and attendance. Effortlessly record, calculate, benchmark and report on sickness and holiday absences in your business and create fully customized and automated time off accrual policies. Allow your employees to request vacation, sick, and other time off types directly from their accounts. Get alerts and notifications to help manage the approvals. Create individual and automated time off and vacation policies. Set accrual rules, carryovers, overdraw limits, and effective dates to model your requirements. Let our system take care of accruals, carryovers, banked time and all other confusing calculations that your leave policy desires. Focus on what matters most. Your employees! 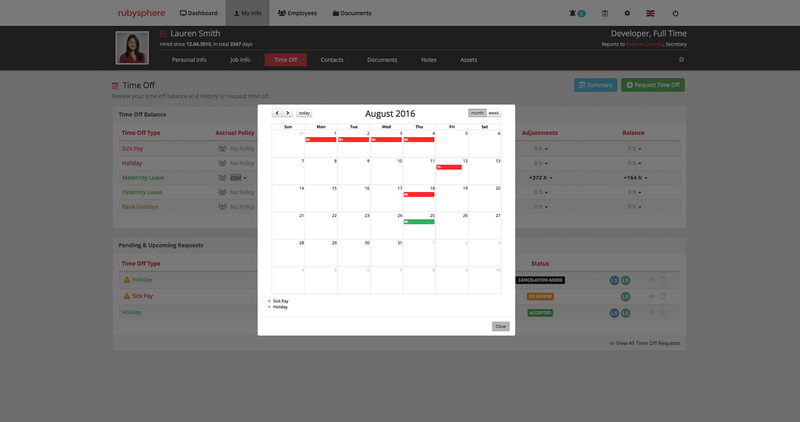 Get real-time information about employee time off schedules with an intuitive calendar view. Track absences to monitor adherence to business policies. 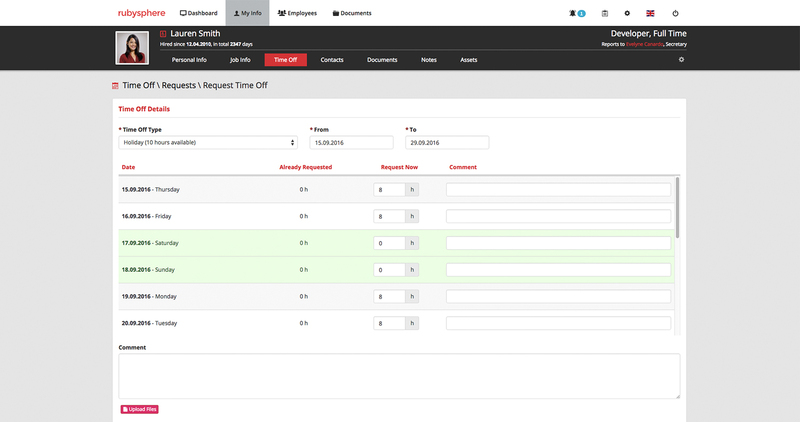 Setup your own time off policies and let RubySphere track, report, and automatically accrue non-worked time. 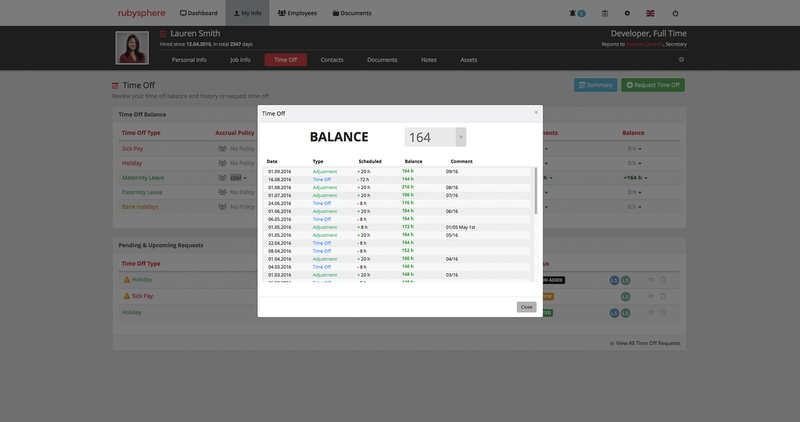 Save time and money with automated PTO management. Give your employees access to their time off history and leave balance and allow them to request time off according to the number of accrued hours.